Is Fidelity National Information Services (FIS) A Good Stock To Buy? Fidelity National Information Services Inc. (NYSE:FIS) was in 37 hedge funds’ portfolios at the end of the fourth quarter of 2018. FIS has seen an increase in support from the world’s most elite money managers of late. 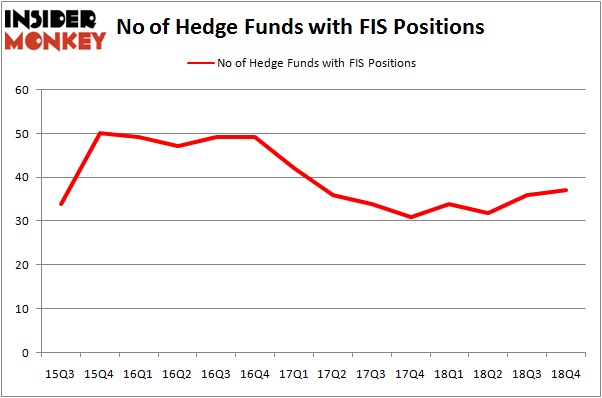 There were 36 hedge funds in our database with FIS holdings at the end of the previous quarter. Our calculations also showed that FIS isn’t among the 30 most popular stocks among hedge funds. We’re going to take a glance at the new hedge fund action surrounding Fidelity National Information Services Inc. (NYSE:FIS). 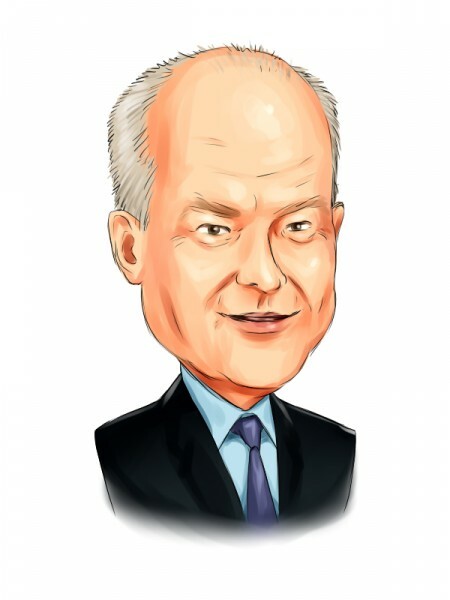 How are hedge funds trading Fidelity National Information Services Inc. (NYSE:FIS)? At the end of the fourth quarter, a total of 37 of the hedge funds tracked by Insider Monkey were long this stock, a change of 3% from one quarter earlier. By comparison, 34 hedge funds held shares or bullish call options in FIS a year ago. With hedgies’ positions undergoing their usual ebb and flow, there exists an “upper tier” of noteworthy hedge fund managers who were adding to their holdings significantly (or already accumulated large positions). The largest stake in Fidelity National Information Services Inc. (NYSE:FIS) was held by Cantillon Capital Management, which reported holding $439.3 million worth of stock at the end of September. It was followed by D E Shaw with a $281.1 million position. Other investors bullish on the company included Farallon Capital, Two Sigma Advisors, and Millennium Management. As aggregate interest increased, specific money managers were breaking ground themselves. Millennium Management, managed by Israel Englander, initiated the biggest position in Fidelity National Information Services Inc. (NYSE:FIS). Millennium Management had $86.7 million invested in the company at the end of the quarter. Lee Hicks and Jan Koerner’s Park Presidio Capital also initiated a $40 million position during the quarter. The other funds with new positions in the stock are Ricky Sandler’s Eminence Capital, Clint Carlson’s Carlson Capital, and Vikas Lunia’s Lunia Capital. Let’s now review hedge fund activity in other stocks similar to Fidelity National Information Services Inc. (NYSE:FIS). We will take a look at BB&T Corporation (NYSE:BBT), ICICI Bank Limited (NYSE:IBN), Canadian Imperial Bank of Commerce (NYSE:CM), and Ecopetrol S.A. (NYSE:EC). This group of stocks’ market values resemble FIS’s market value. As you can see these stocks had an average of 22 hedge funds with bullish positions and the average amount invested in these stocks was $357 million. That figure was $1540 million in FIS’s case. BB&T Corporation (NYSE:BBT) is the most popular stock in this table. On the other hand Canadian Imperial Bank of Commerce (NYSE:CM) is the least popular one with only 15 bullish hedge fund positions. Compared to these stocks Fidelity National Information Services Inc. (NYSE:FIS) is more popular among hedge funds. Our calculations showed that top 15 most popular stocks among hedge funds returned 19.7% through March 15th and outperformed the S&P 500 ETF (SPY) by 6.6 percentage points. Unfortunately FIS wasn’t in this group. Hedge funds that bet on FIS were disappointed as the stock returned 6.5% and underperformed the market. If you are interested in investing in large cap stocks, you should check out the top 15 hedge fund stocks as 13 of these outperformed the market.